The mood in Germany is turning ever more grim as daily stories of violence emerge. 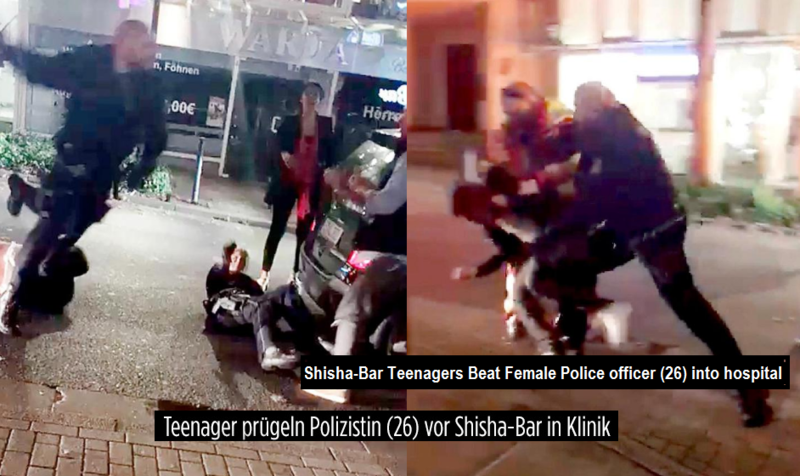 Today the tale making all headlines is how a group of youngsters in an Essen ‘Shisha bar’ (the Arabic water-pipe) attacked a female police officer over the weekend after she wanted to check if they were 18-years-old. One of the youngsters (whom according to Bild were of Lebanese origin) arrested afterwards turned out to be 17 years old only. Given the protection for minors, the pictures or video have not been released, though the Bild tabloid shows screenshots of what is going on. The female police officer is still in hospital after being severely injured during the fight. Police spokesman for the Essen region Mr Fassbender explained afterwards: "It was a routine check that did not have to escalate. We will continue to send a patrol crew to such establishments in the future. This must be possible! " "These people do not want to stick to our values and legal system. We should not accept that as a society!" At the same time, a debate erupted in the German parliament, the Bundestag this morning about the situation of the last few weeks in the German Heimat. The right-wing AfD walked out of parliament in protest after the Socialist SPD members accused them directly of having incited the storm of violent protests that the country has seen in recent weeks. Is their aim that we should see what these people are like and then destroy them all ? if they keep attacking police maybe the police will become more like the LAPD. 36873 - the Germans are already cucked to CA standards when it comes to people that don’t belong there and brutal to the citizenry that pays taxes. The Krauts need to take a few lessons from the Russians on policing. That German cop should have defended herself and sent a few of the hooka smoking invaders to the hospital or better yet hell.